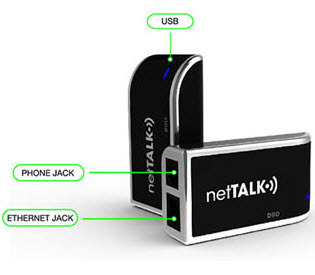 netTalk is serious about challenging magicJack. Today they announced that netTALK has raised $2.5 million to help drive its push into bricks n' mortar retail and other marketing efforts. They obtained additional funding up to $2,500,000 in borrowings pursuant to a promissory note agreement. I'm told major retail distribution deals will be announced in the coming days and weeks. Apparently, netTALK's VoIP app is now the #1 seller in the Social Networking category on iTunes Canada and its netTALK DUO VoIP device (see my recent review) is the #1 seller in the Telephones category and #11 in Electronics on AMAZON.CA Home Office. "We are most appreciative of the continuing confidence placed in us by our core investor, who continues to support the implementation of our business," said Anastasios "Takis" Kyriakides, Chairman of netTALK.